I probably say this every time I sew up a remix of one of my patterns, but I love taking a pattern and finding a way to make something new. Then I get to share it here with you so you can see yet another way to use that pattern. 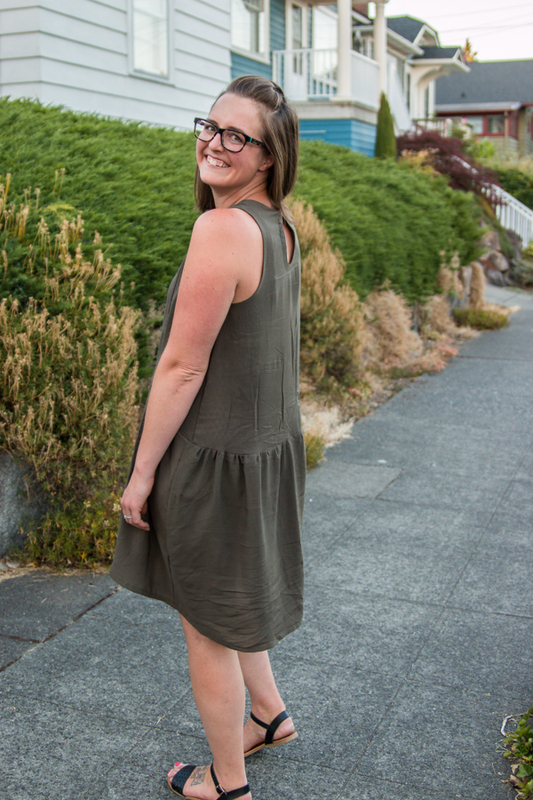 Today I am sharing a View Ridge Dress, and it is the perfect summer outfit. 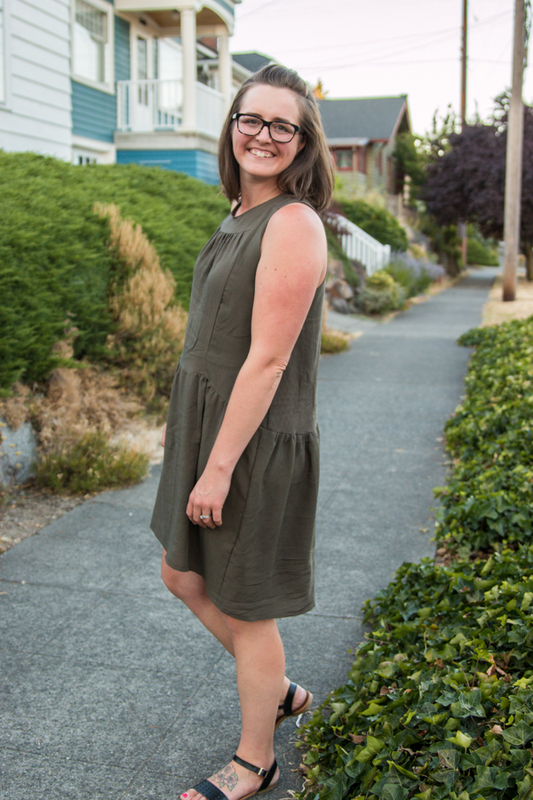 This dress has been cut out for a few weeks, but I finally sat down to sew it together yesterday and I am so glad that I did. 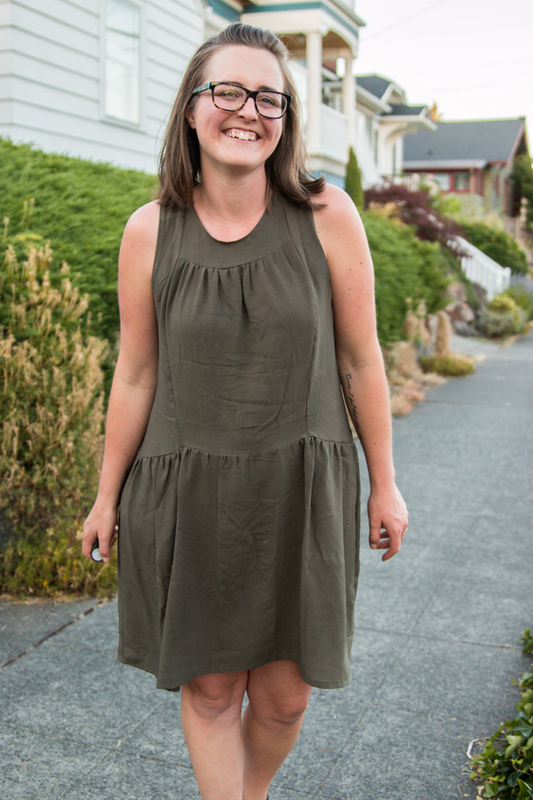 Now that the temperatures are ridiculously hot here in Seattle, having a loose dress is just what I needed. If you can’t tell from the wrinkles in this picture, I had been wearing it all day and wanted to snag some pictures during the golden hour, wrinkles and all. The biggest thing I had to decide was whether I wanted to use View A with the ruffles as my base or View B without ruffles. I finally decided that since I was going for a flowy loose fitting dress the ruffle version would be best. The best part about this remix is that all I needed to do was extend the bottom ruffle to the length I wanted for the dress. Since I have a history of making my dresses too short I decided to extend the bottom ruffle by 9 inches so that it would hit me in the front just above my knees. 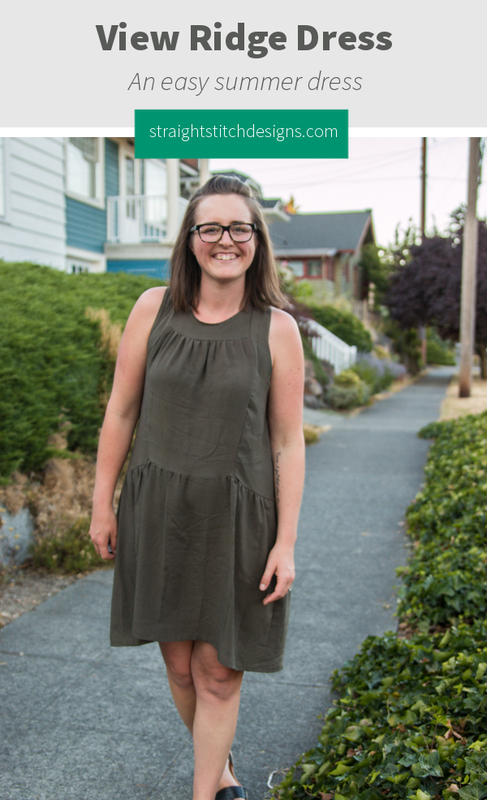 The fabric for this dress is some of the rayon I got in the LA fashion district in April, it is the perfect lightweight fabric for this dress. I am not sure if I can really explain the colour though, ha, it’s like a grey/green/brown colour. I am liking it and works great as a neutral. 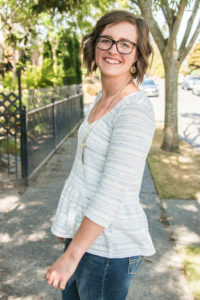 The shape of this top works so well as a dress since you have the hi-lo of the top giving you a hi-lo dress. Now I don’t have to worry about my underwear showing when I bend over or squat down. I am really happy with how it turned out and will definitely be wearing this a lot in the coming weeks as the temps stay a bit too high for my liking. I was also thinking how great this would be in the fall with some booties and a jean jacket or Phinney Ridge Cardi. Want to sew the dress with me? 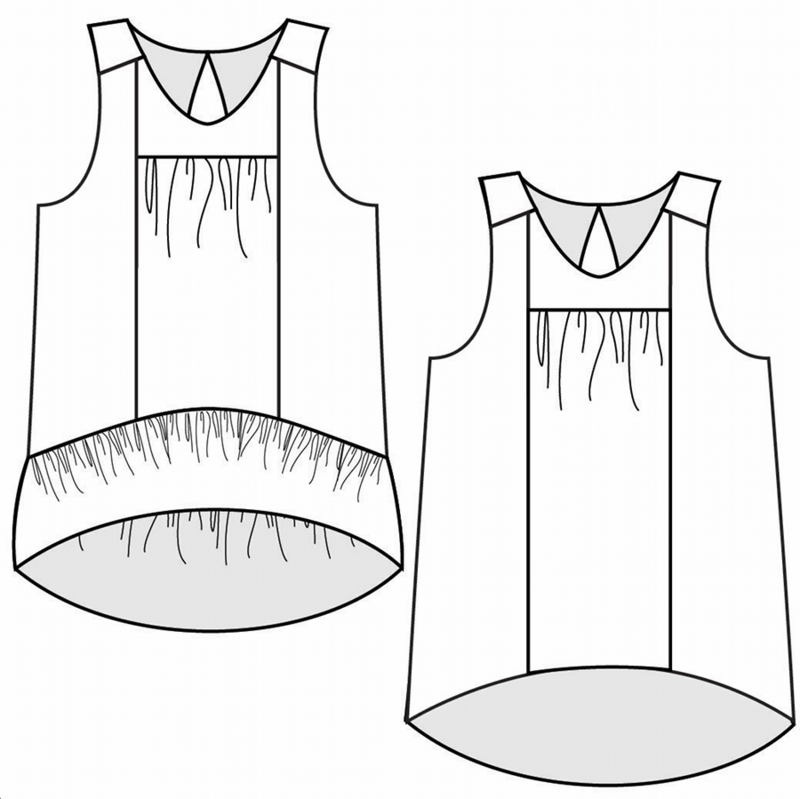 During my View Ridge sewing workshops in Seattle in August you will have the option to sew it as a top or a dress. 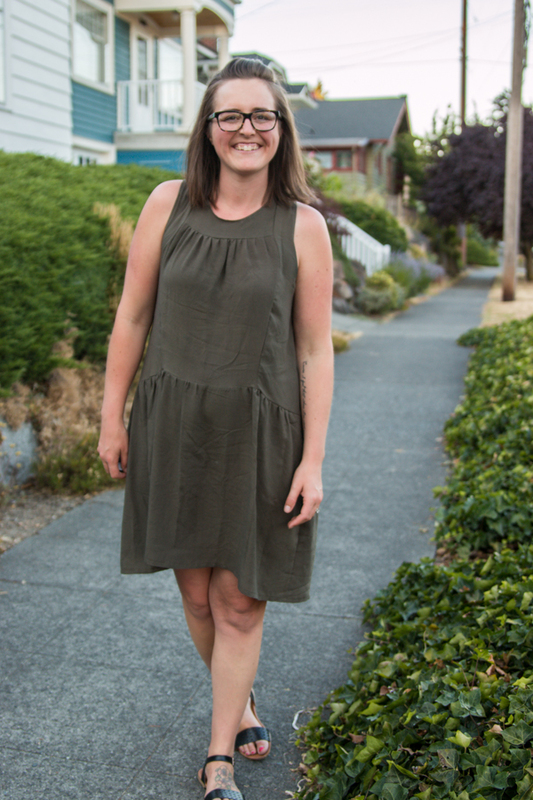 Really cute lengthened – love seeing Seattle neighborhoods in your pictures. We celebrated our 50th Wedding Anniversary at Spinasse in Capitol Hill – love visiting our family in Seattle.